Schlüter®-KERDI-DRAIN-WRKD Integrated point drain wetroom kit Schlüter®-KERDI-DRAIN-WRKD is an integrated wetroom kit with a point drain set. 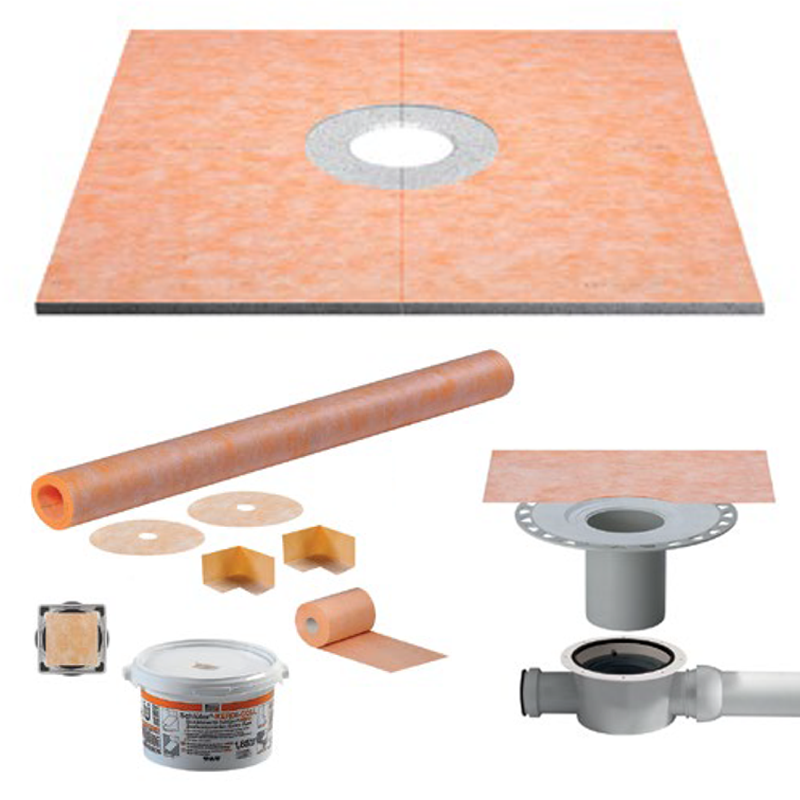 A collar made of Schlüter®-KERDI is provided so a reliable connection of the channel body to the bonded waterproofing assembly can be ensured. 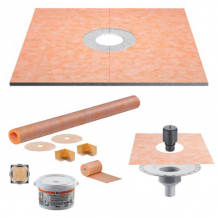 The kit also includes a Schlüter®- KERDI-SHOWER-SK waterproofing kit, preformed shower tray and a frameless design grate for subtle integration with your chosen tile or stone covering.